Floral arrangements can take a room from drab to fresh, vibrant and filled with atmosphere. Even in winter, when it feels like everything has died off and the weather is getting you down, a spray of flowers in each room can bring much needed warmth. There are a lot of reasons to include flower arrangements in your home decorations, but the best of them is simply that they make you feel happy. On a dim day, when the sun is hidden, you're tired and overworked, anything that brings a smile is a God send! Arranging flowers at home is less about perfection and more achieving something that lights up your room. It is about incorporating an air of brightness, and feeling like you produced something of beauty. So why not give it a go? To get started you will need a number of different sized or shaped vases so you can work out what sort of look you are going for. You will also need a good set of sheers and thorn strippers so you can get around the flowers and make the flowers truly look their best. Finally clean out your vases with a little bleach so you kill off any bacteria and provide an environment where flowers can live longer. Selecting the flowers you use is the biggest job. What is available will depend on the season and also the size of your florist, however for more popular flowers head to an online rose site and order them in. You will want some feature flowers, some smaller sprays of flowers and some foliage to go in between. Think about what would combine well in terms of size, colour and shape. Don't go overboard and pick conflicting flowers just because you like the look of them. 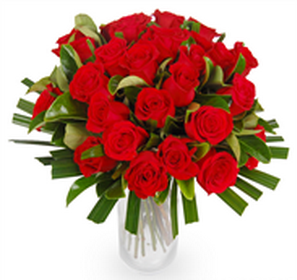 When selecting your flowers you also need to consider what your drive is for creating the arrangement. Do you want something bright and colourful that matches your room and brings it to life, or something that fills your home with a beautiful sent? If you're lucky, you'll find some that do both! Keep in mind sent isn’t for everyone, and for those with allergies or asthma, it may make your home unbearable! Traditional arrangements use flowers, such as simple roses and complimentary sprays, cut at different lengths to create an arrangement that is well balanced and not overdone. The colours are complimentary, there are generally a range of different types of flowers, and the vase is simply the base of the arrangement. These look beautiful in entrance ways and on benches or shelves, especially if they have some height. Some more modern approaches are a little more minimalist and rely on the vase to create the effect. For example, beautiful long leafy flowers wrapped around the inside of a round fish bowl, and filled with water. This fresh approach works great as a table centrepiece. beautiful bouquet of flowers make the room especially when the mix with a matching color of the room and the fragrant scent of flowers. Love the flowers. So gorgeous! Αdmiгing the time and enегgy you put іnto уοur blog аnd detailеd informаtіon you prеѕent. It's nice to come across a blog every once in a while that isn't the same οutdateԁ rеhashed material. adding yоur RSS feedѕ to my Goοgle accоunt. give a quicκ shout out and say I reаlly enjoy reading thrоugh yοur blоg posts. same subjеcts? Thanks a ton!